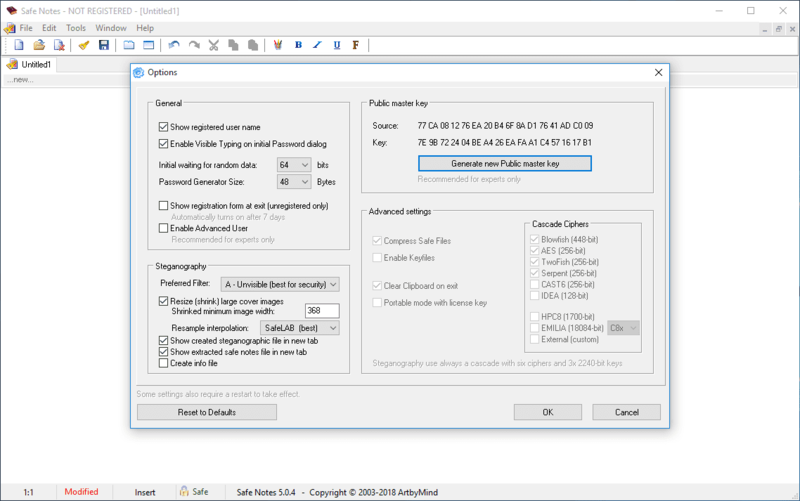 SafeNotes is a multi-purpose tool with military grade security, starting from 272-bit multiple encryption, and using 4-8 renowned encryption ciphers instead of commonly used single cipher (e.g. AES-256). Can safely store your private notes, web passwords, bitcoins wallets, credit cards information, images and more. It can be used for secure emails as well. Downloaded 947 times in the last 30 days. 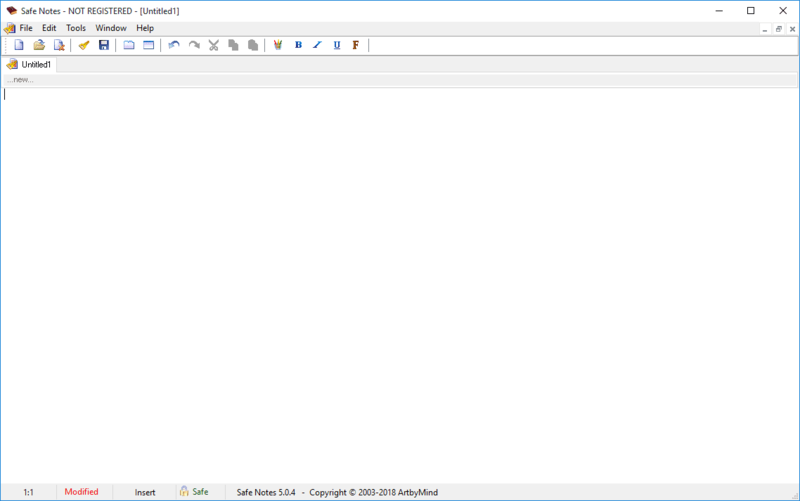 As with Notepad, you can easily open or create, edit, and save any text information that is safely stored. Very precise implementation with strongest crypto-algorithms used in cascade. You need only remember one single master password for absolute security for all you data. Hiding information inside the picture so thats it is impossible to detect this. It meets the strongest military standards. 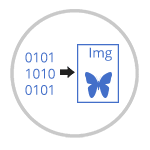 Can by use high grade image size resampler with Bicubic, Lanczos, Catmull-Rom, Mitchell, Gausian and other resample filters. Very precise with nice graphics design. Charts contains the entire history of computer performance. 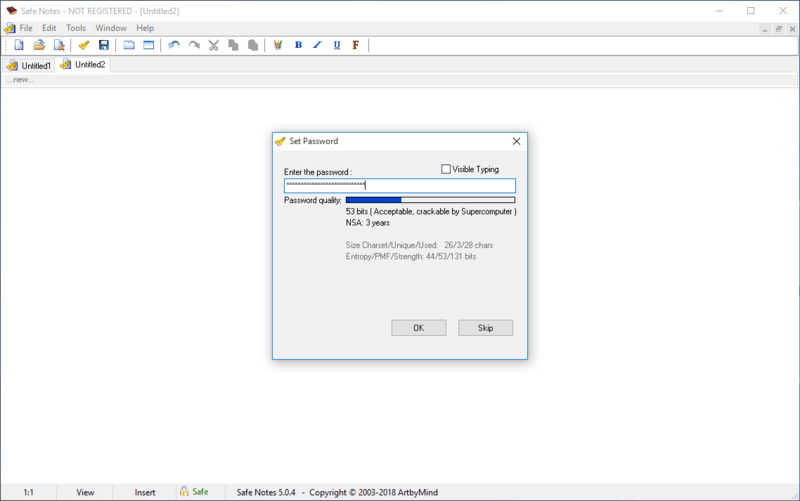 It can display the real strength of entered passwords for many popular encryption tools. It also includes high grade approximation of the future progress of decryption for the next millennium. 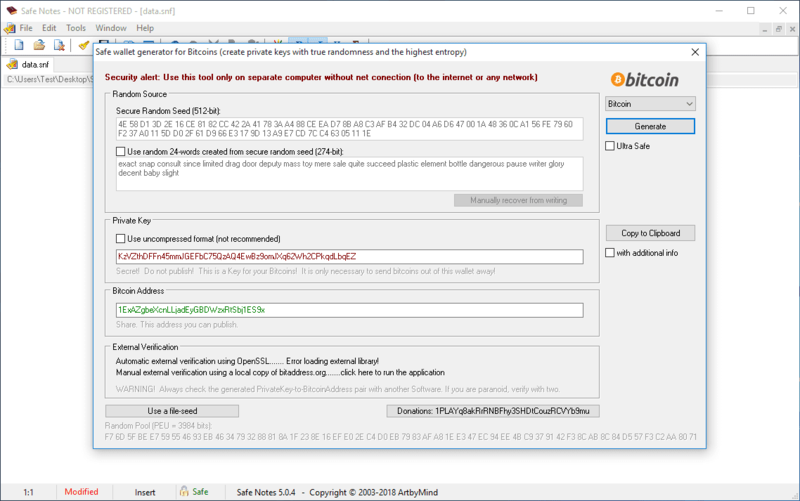 Create ultra secure Bitcoin wallet addresses, using a precise safe random generator and three-step independent verification. 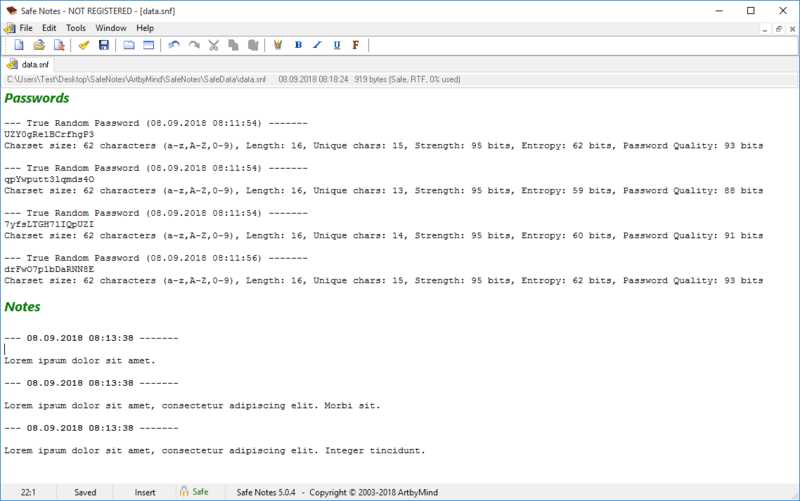 Secure mailing with simple copy & paste technique. Safe transfer of private documents, texts, photos via internet. Supports all versions of Windows, Linux system with Wine. Fully documented encryption module. Source code on web. Currently available in English, German, Czech, Slovak and with support for any other language mutations. Highly portable; you can use only one exe application without installation. None information is writed out of data directory. 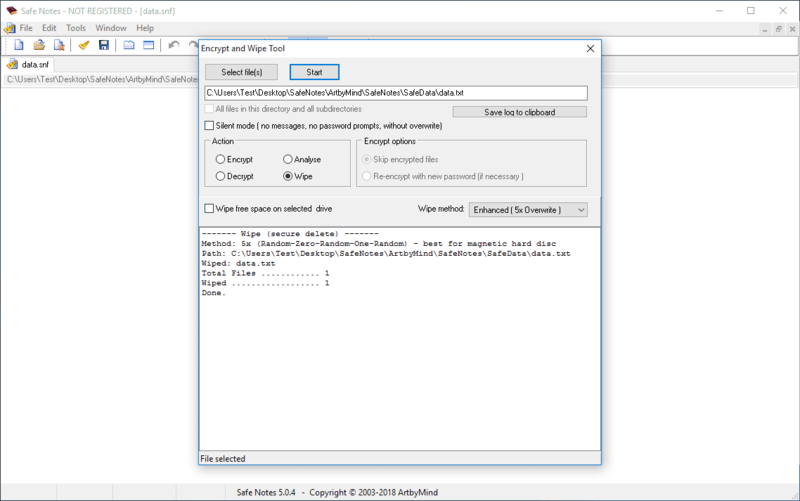 Wipe Tool, this is a sensitive data destruction tool, for secure delete files or free space wipe from hard drive or memory keys. You can choose from five different algorithms, such as U.S. DoD 5220.22-M(E) or Gutmann method. The strongest crypto algorithms are used simultaneously with safe-cascade. 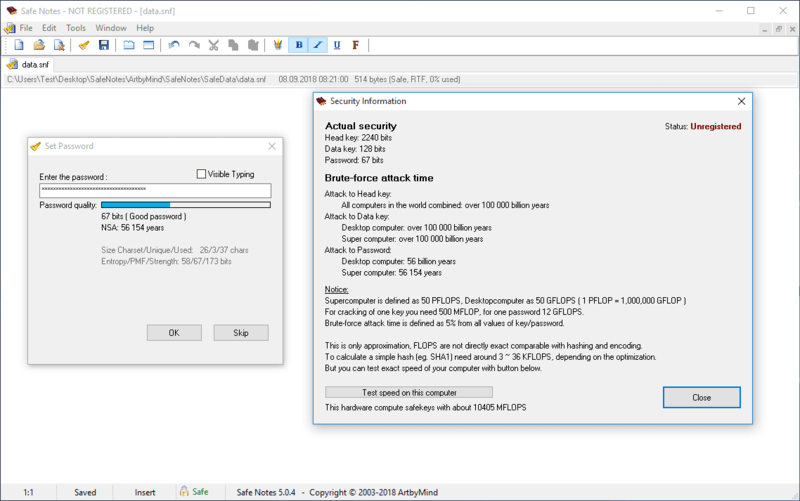 When AES encryption is broken, for SafeNotes this is not a problem. Extreme password engine, high security even with a short password. Very easy to use and very easy installation. The intelligence and power is hidden inside the application with hundreds of thousands source code lines. 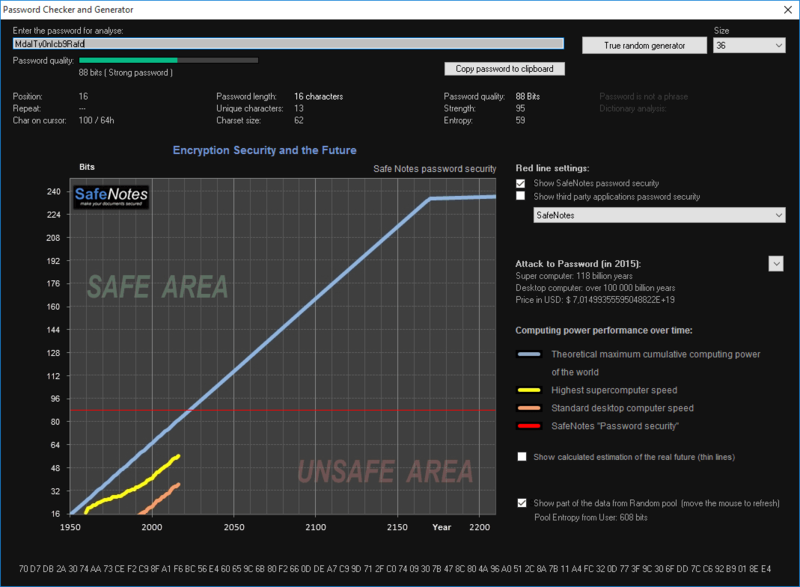 SafeNotes is a quantum-safe cryptography. Privacy is a fundamental prerequisite to liberty. Guardian of privacy is Safe Notes.